Invisalign. Z Dental Group - Los Angeles Invisalign Dentist, Beverly Hills Invisalign Dentist. Straight teeth are healthy teeth! Besides being attractive, a beautiful smile is usually a healthy smile. If you have crowding of your teeth, spacing, an overbite or underbite, or general misalignment of your teeth, these can lead to joint problems in your jaw, decay, and most of all periodontal disease. The easiest way for you to treat this misalignment is to use a set of clear aligners known as Invisalign. 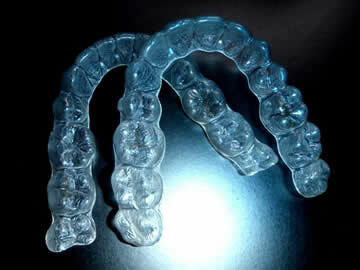 Invisalign is a new way to straighten teeth as an alternative to traditional metal braces. Invisalign uses a series of clear and thin aligners that resemble bleaching trays, to straighten teeth usually within 8-12 months. (Treatment time varies depending on severity of orthodontic diagnosis). These trays are worn 24 hours per day and are simply removed when eating or brushing and flossing your teeth. This is one of the best things about Invisalign because it makes cleaning and eating very simple, as opposed to traditional metal brackets which are difficult to eat with and hard to keep clean. Another advantage of Invisalign is that nobody will know that you are undergoing orthodontic treatment due to the clear nature of the aligners. Invisalign has been shown to create less discomfort then traditional metal braces because new aligners are given every 2 weeks as opposed to 6 weeks with traditional braces meaning that your teeth adjust smoother and don’t have as much force placed on them at one time. Patients love this! The candidates for Invisalign usually are the patients who have crowding of their teeth many times the lower anterior teeth), spacing between teeth, overbites and underbites, or general misalignment of teeth. The Invisalign consultation is easy and sometimes can only take a few minutes. Once we at Z Dental Group determine that you are a candidate for Invisalign, we will explain all aspects of the procedure before proceeding with treatment. 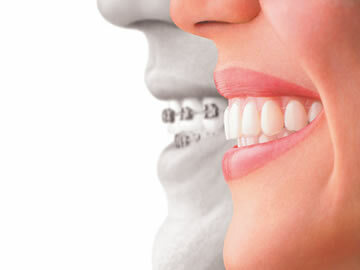 The initial appointment for Invisalign consists of taking upper and lower impressions (molds) which will then be sent to Invisalign to be analyzed by a 3-D computer and will then be transferred electronically back to Z Dental Group Los Angeles, where your Invisalign dentist will approve your treatment. At this point, your dentist will be able to tell you how long your treatment will take. At your first appointment we will deliver your first aligners and you will be on your way to straighter/healthier teeth and gums!